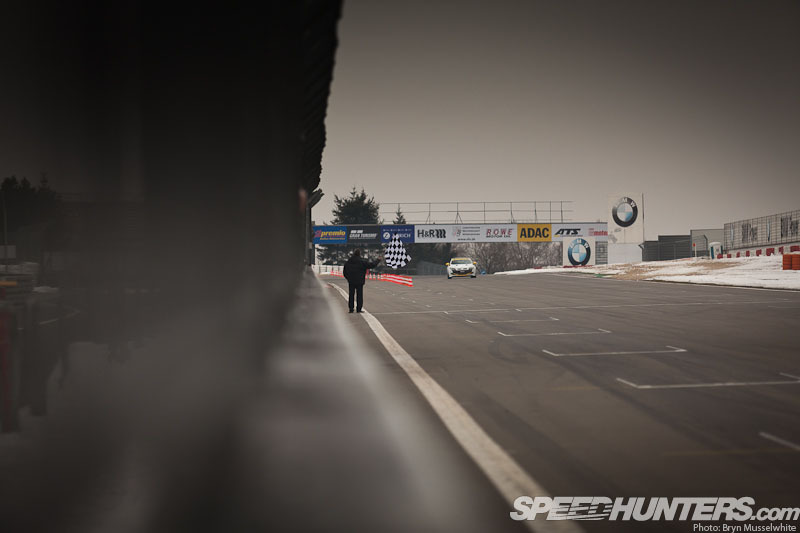 I know it, you know it, we all know it: the Nürburgring is the stuff of legends. All sorts of stories surround it, from laps that seem to bend time itself, to films dating back decades which have intoxicated and teased us from afar – yes, I am talking about Faszination. But push aside the massive headline events, folklore and myth, hype and hyperbole and what are you left with? A track which you, you and even you can drive on. So why not? It’s up there on all of our wish lists: go to Bonneville, drive a car you can’t afford and go to the Nürburgring – or more precisely the Nordschleife. But there is far more to the latter than first meets the eye. Paddy put together his take on things last year, when he gave us some history and showed us around. But driving it? That’s something different – very different indeed. 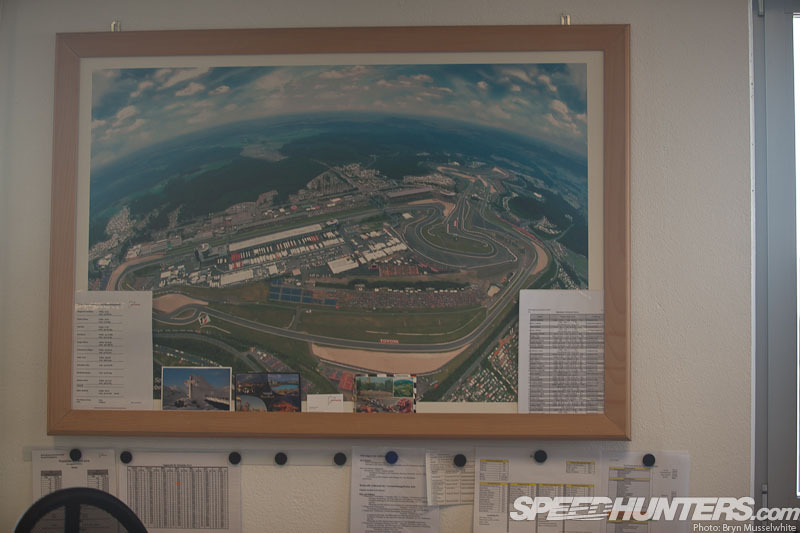 It’s something that Darren Langeveld knows all too well, so twice a year he hires the circuit and sets up camp for all-comers to take up the challenge by organising the renowned Destination Nürburgring events. 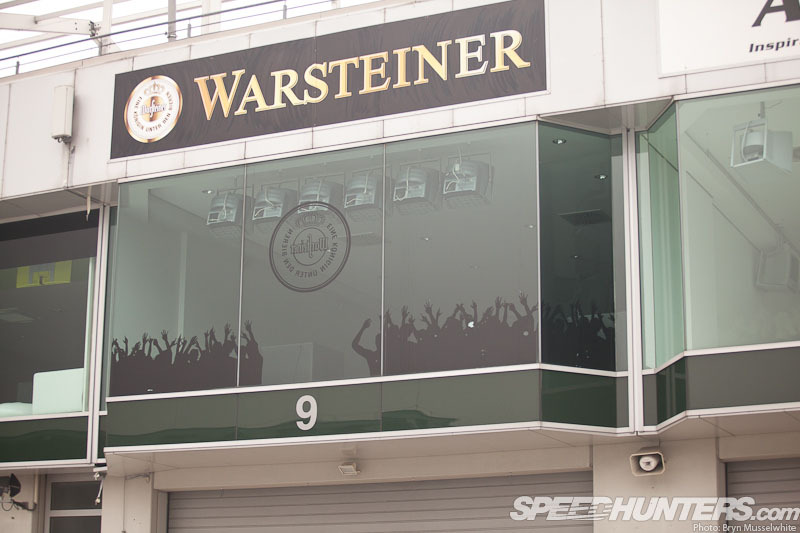 With the first of two days at the Nürburgring beginning on April 2nd, an early Tuesday morning start was required. Now I’m fairly sure the alarm went off before I set it, but either way a quick (and yes, very British) cup of tea saw me on the road and enjoying the lack of traffic. I’ll make no apologies for the fact I’m in my daily driver Alfa Romeo; this was day one of a three week trip, more of which you’ll see later in the month. So comfort and security were needed – something my Volvo doesn’t have a lot of. In the run up to the event we’d all been very watchful of the weather forecast. Snow had been wandering around central Europe for weeks. It was certainly cold enough as I crossed Belgium and into Germany, with pockets visible on the side of the motorway along my route. 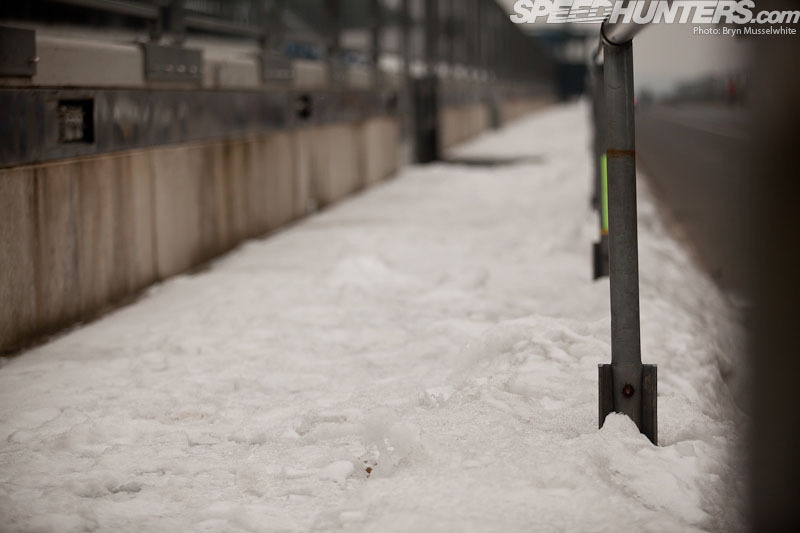 Thankfully the track was clear, but the remnants were obvious everywhere when I arrived just after lunch. I lived in the French Alps for a while and got used to a snow-laden sky, and I began to get flashbacks every time I looked up. Surely not the best of starts? I soon found out the weather seems to be of little concern to most people. 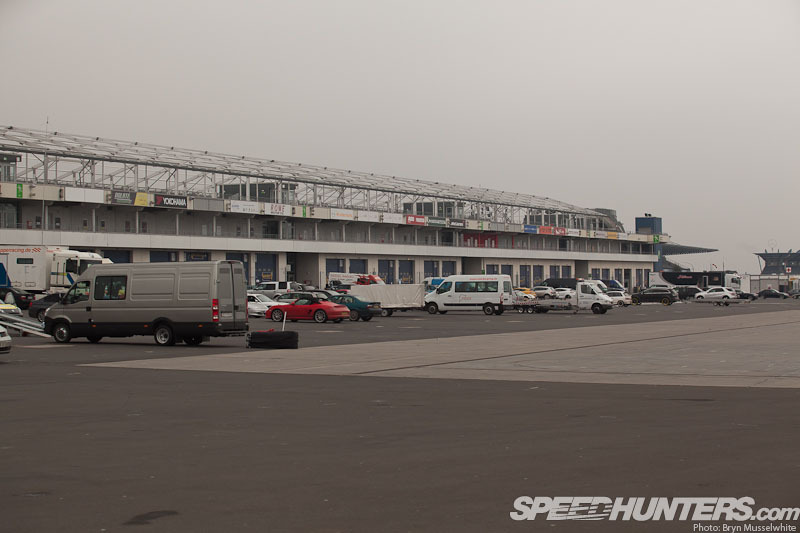 Not least because the beauty of DN7 (because that’s how many Destination Nürburgring events have been held) is that unlike a tourist lap, you get full pit garage facilities and the use of the VLN circuit, which is the Grand Prix circuit and Nordshleife combined. But that’s not what I’m talking about. There was an air of apprehension, and from more experienced drivers came anticipation. Excitement mixed with reserve. Respect. …but yet another welcome cup of tea and some photography for me. Sorry Darren, I promise next time it’s no camera and a Volvo instead. Walking out into the pit lane again, the sounds of engines idling were to one side and those at full throttle on the other. 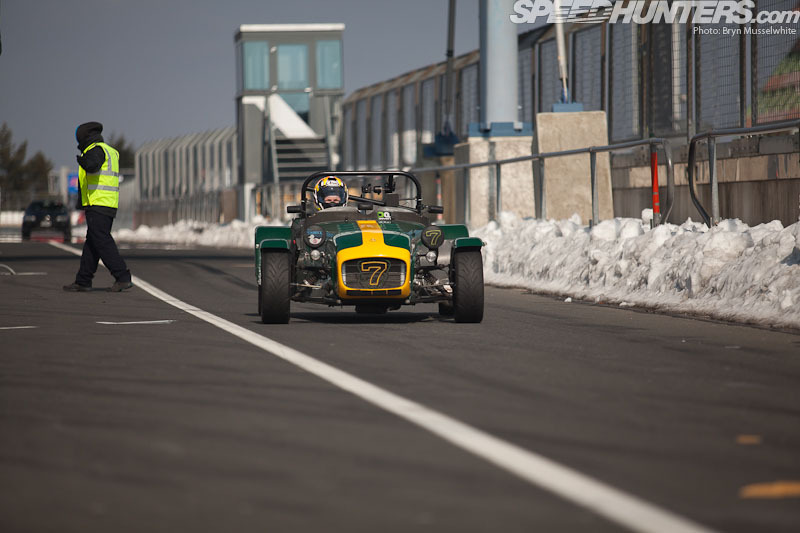 Given the conditions, this Caterham driver got a nod of respect as he went past, because we were looking at way below zero degrees centigrade with the wind chill factor. Just about the only thing that the day had in common with any other track day was the variety of machinery. It’s something I love about these types of event: you never know quite what will turn up. Like this Wiesmann. 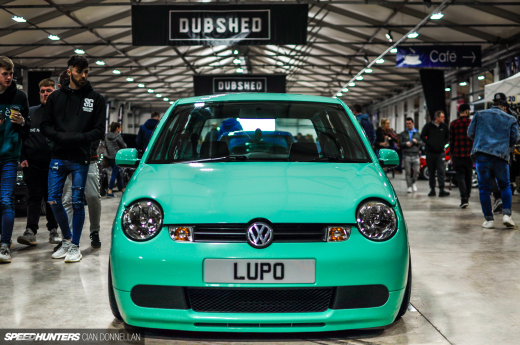 I’ve seen these cars at exhibition-type shows before, but never in the raw, in a pit. The muscular lines look really good in black: it’s a mix of retro and tech which works well. 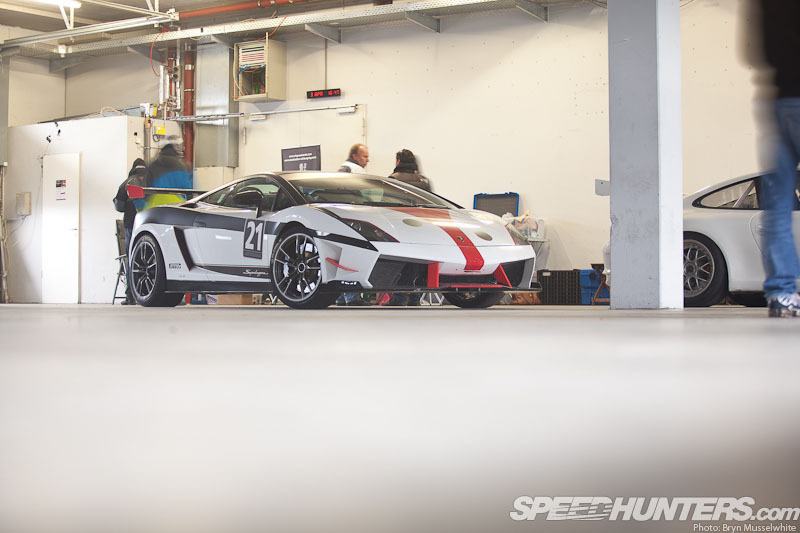 This dedicated Ferrari track car is indicative of all that’s good about the genre. Forget parking up in front of a fancy restaurant barely having warmed the engine getting there. 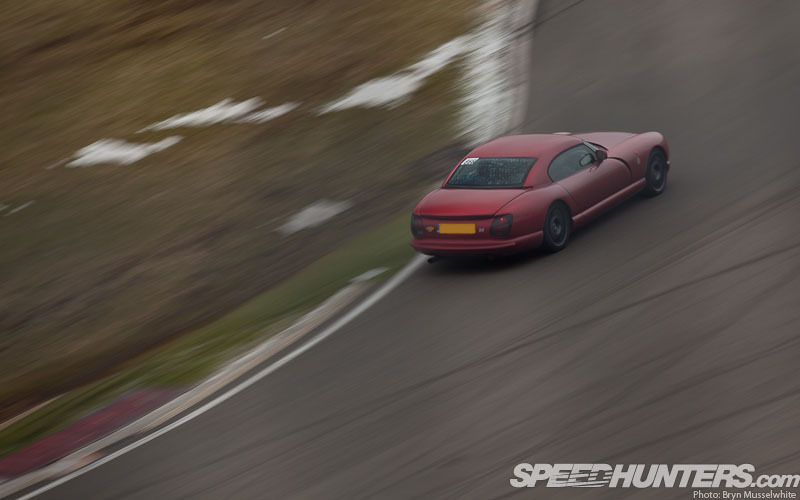 This is what we love to see as Speedhunters: stone-chipped exotica with camber and battle scars. Used. No preening here, that time has passed and it’s far more important to check fluid levels and tyre pressures. Look after your kit and it’ll look after you. Because you’re going to need looking after. Pretty early on it became clear that there were two favoured choices of marque here. 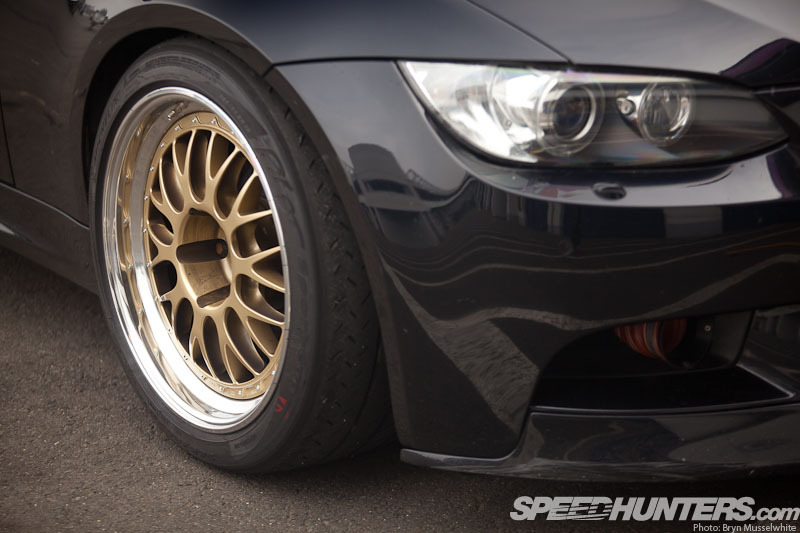 This M3 boasted the Team Schirmer logo on its rear quarter, which denoted it was tuned/prepared by Tom Schirmer, a bit of a legend in BMW tuning circles. E92 M3 GT V8s are badass anyway, but this just took it to a whole other level. This is not a question of fashion, it’s science and how to get around the track quicker than before. Did you spot the air duct intake? In any other scenario the rear wing could look misplaced, but here it denotes purpose. 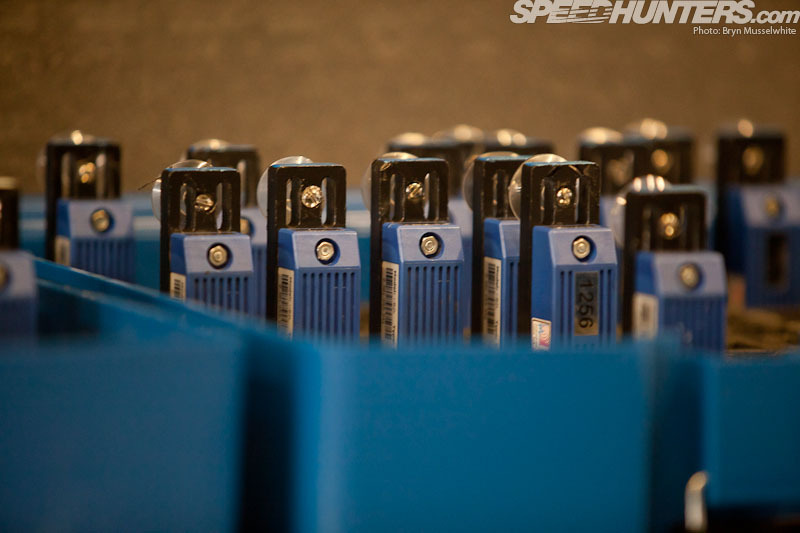 One of these will lap in just over seven minutes. And yes they do a Paddy McGrath edition too! 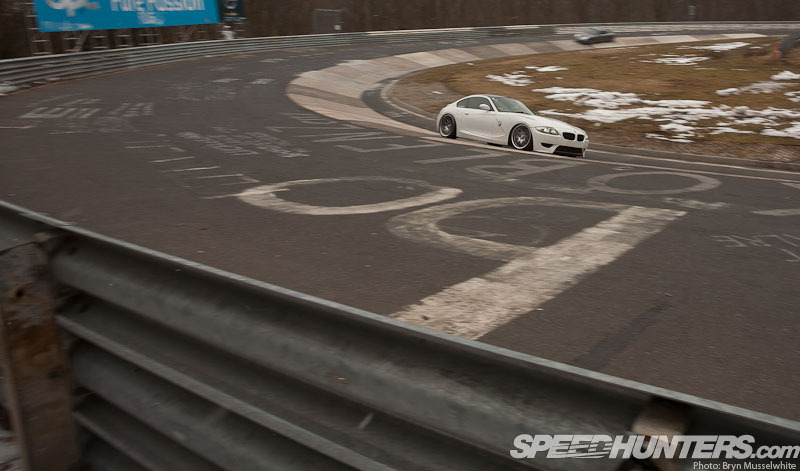 …and that the circuit was built for the M3, but it just took a while for it to come along. I didn’t think two marques would be so dominant, but they really are and when you see them lap you quickly understand why. But it was time for some beer, meat and sleep. In that order. 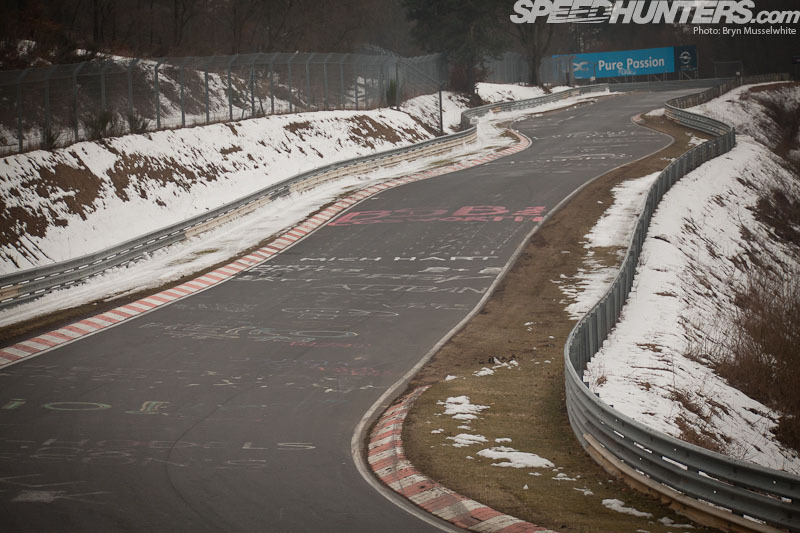 Which is where the bigger picture around the Nürburgring becomes more apparent. Run by Martin and Heidi, the Burgstube is completely indicative of why this place is so magical. 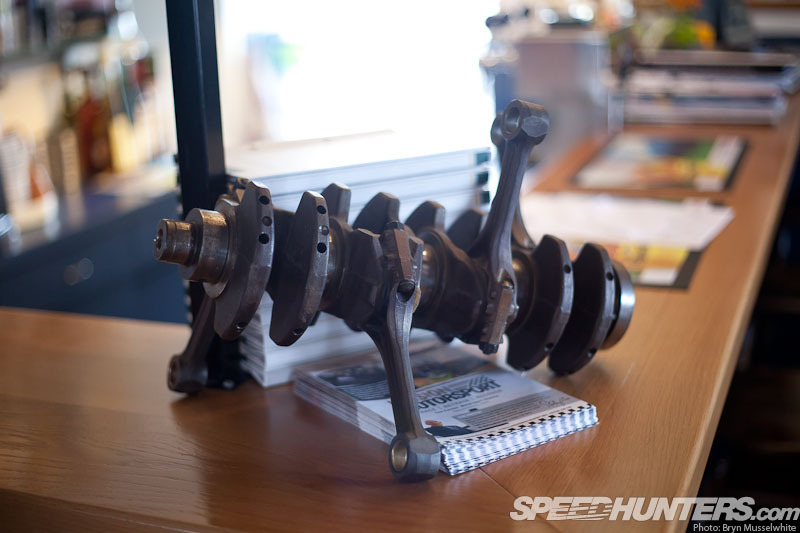 Most of the guys I’m with had stayed here before – and many times – so as I mixed in with them as they ordered drinks and settled down to analyse GoPro footage of the day’s laps, I got to take in the surroundings, like the VW crank on the end of the bar. 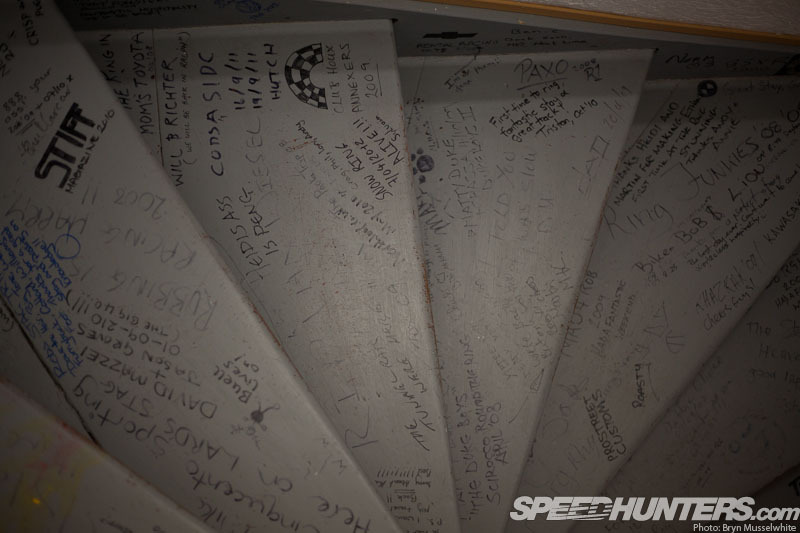 …that also happens to be a staircase. This place is special. If you want a spa pool and stylish lobby with designer soft furnishings and mood lighting then you’re in the wrong place. In fact you wouldn’t get this, because the Burgstube feels like an extension of Martin and Heidi’s front room. You feel as though you’re at a mate’s house waiting for a pizza to be delivered while raiding the beer fridge. Everywhere I looked there were momentos and reminders of where we were. 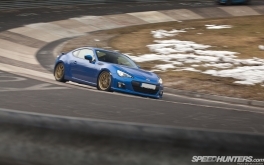 There was no retreat and the Nürburgring engrosses you in the best possible way. Waking up the following morning I also noticed that the Burgstube’s hosts rent out a pair of Twingo RSs, which is far better than room service in my book. The fact the hotel nestles under the castle in Nürburg, and you can actually see the main straight from the front, is just another reason why this might just be the best hotel in the world to those that know it. Back in the pits and refreshed, I almost walk past a pair of Nobles. Almost. This is the kind of event where you have to remember where you are, and these two were the perfect reminder. I was itching to get out on track, both to take pictures and experience the circuit for myself. Jochen from the excellent Frozenspeed.com had kindly offered to shepherd me around, as he did his rounds getting shots in for the attendees. Signing me on to get a media vest, I took a look across the office at the wall-mounted picture. Everything about this place is on a grand scale. A couple of signatures later and I was ready. Except Jochem asks me to get a helmet. Really? Yes, because we’re driving around the track to get to our locations. My heart started to pump a little harder. We got in his Alfa Romeo – obviously the vehicle of choice for the discerning photographer – and set off. This was as we exited the Karussell later on in the lap, but we stopped short of it to start with. Yes those are my teeth you can see in the passenger seat: I’m grinning like a loon. 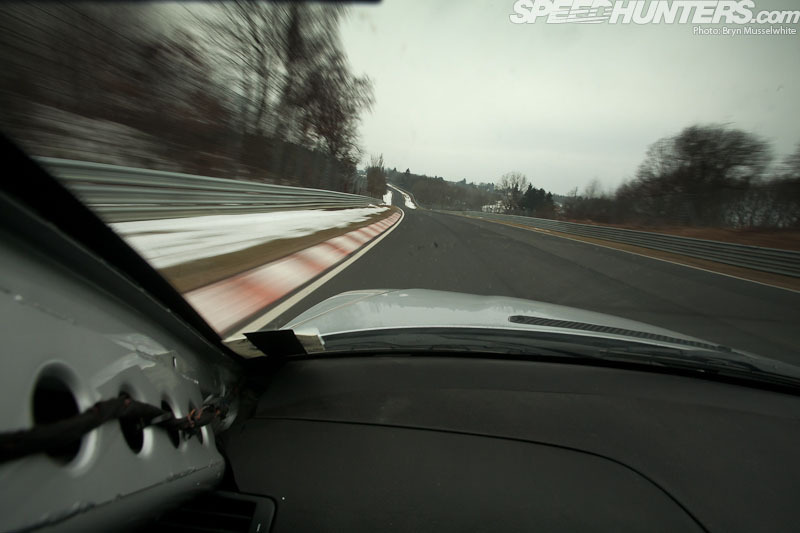 …and we were on the narrow Nordschleife, which is like your favourite back road with Armco barriers. Engine noise bounced around the forestry from above and below. It was like I was being poked by invisible fingers of sound. Pulling up on the outside of a long right hander, the Alfa was parked behind the barrier and I started to move around. While Jochen got his pictures I observed how different people adopted different lines. 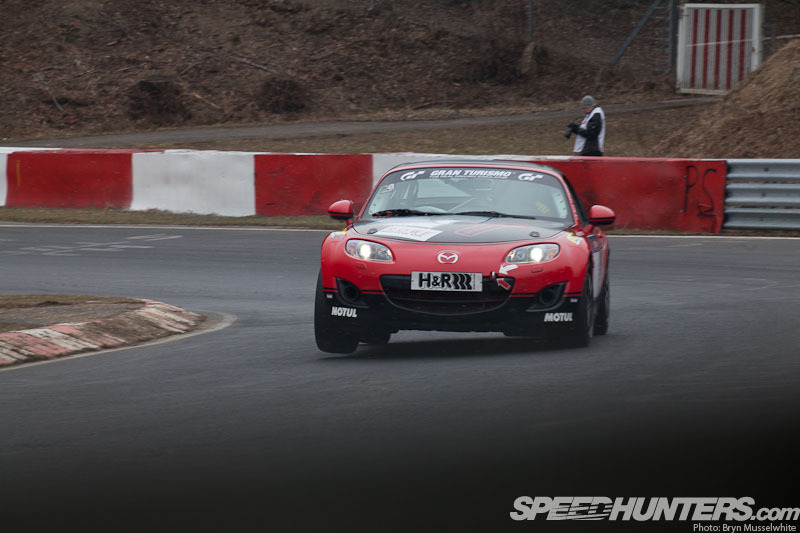 This MX5 was particularly committed; running slicks it looked like a lot of fun was being had. But then it occurred to me, just how many laps do you have to do to get to this standard? 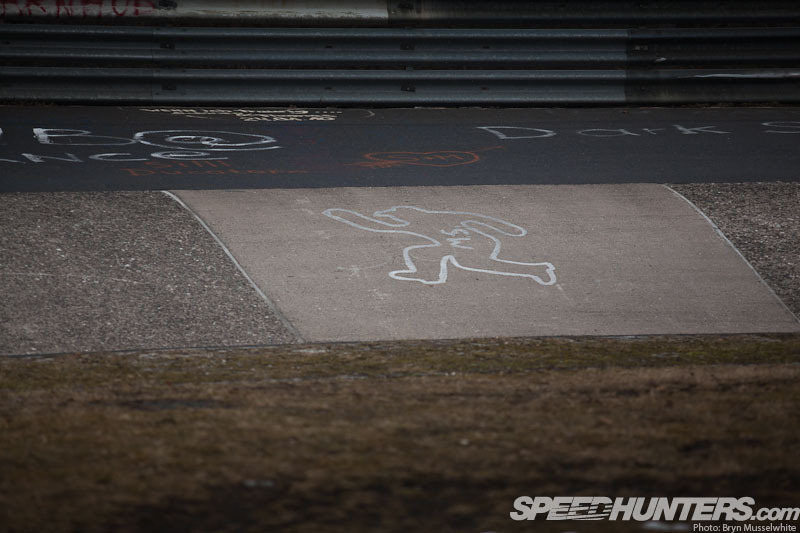 They say you either crash on your first lap or your fifth. Either you get carried away or you get complacent and think you know the way. When in fact that comes much, much later. Like hundreds of laps later. As many will tell you, it’s the elevation changes that surprise most people on their first visit. The Eiffel region in which the Nürburgring lies is one of rolling hills and valleys, so it’s just nature doing its thing. …I looked up the hill and wondered what would come next when Jochem called to move on. It looked like I’d find out soon enough. And guess what was at the top of that hill? The Karussell: one of the most famous corners of all time, and one that there appears to be no warning of, if you don’t know where you are on the circuit. There’s the smooth tarmac at the top, which some opt for, but the real corner is to be found on the inside. 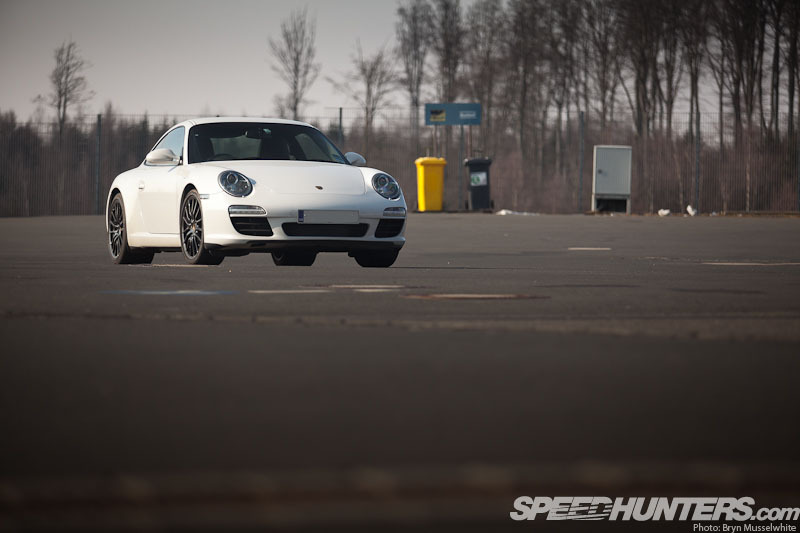 …which then spits you out, suspension extending as you make the transistion back to tarmac. 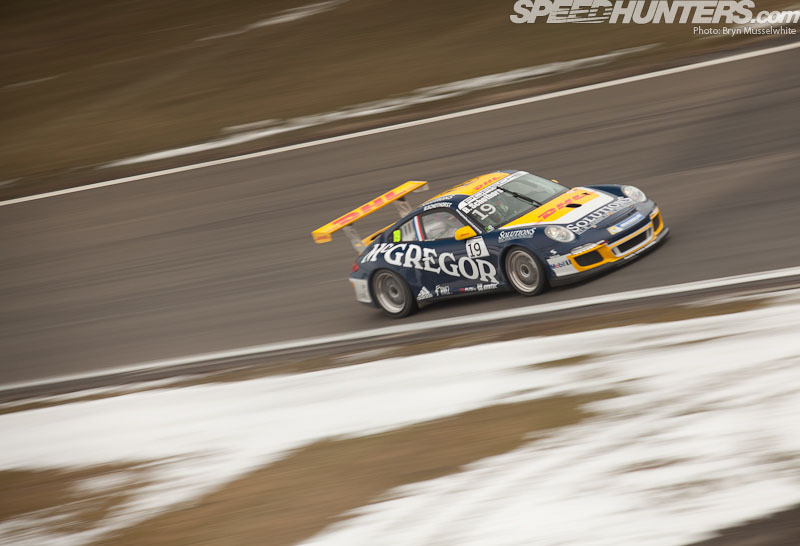 Look at the 968 driver’s eyeline here: he can barely see over the bonnet, let alone the immediate track ahead of him. Commitment comes with knowledge. They won’t be back for a while either, because you don’t lap in the couple of minutes of a normal circuit. Your brain has to process mammoth amounts of track before you arrive again and try to get it right. Entry, passing and then exit. Just this one corner takes so much effort and there’s another eight kilometers (five miles) yet to go. With the fastest section coming right at the end, this picture was taken at 175mph (282kph) on the slight left at the end of the main straight. A corner that I’m assured you can take flat out. After an incredible couple of laps in my friend Al’s M3, I realised I was finding it all a bit hard to take in. He had completed 999 laps in his lifetime and knew his way around, but I quickly realised his knowledge was earnt, not given. If you’re prepared to invest amounts to get to this stage, then you too can reap the rewards. 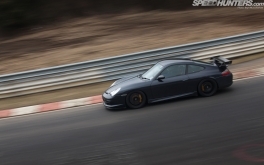 Everything at the Nürburgring is big, and looking at Al’s grin the rewards were commensurate with the price. Very quickly I was realising that as much as the DN7 event is about the social, this was no pitlane horsepower bragging session. This is more of an army of drivers and mechanics who all share a common cause, while enjoying the banter that surrounds it. Without forgetting what it is all about: pushing yourself and your vehicle as far as you can. Sure we were there to have fun. But there was literally no room for error. The grass and snow would only accelerate your exit from the land of grip to a world of pain and expense. 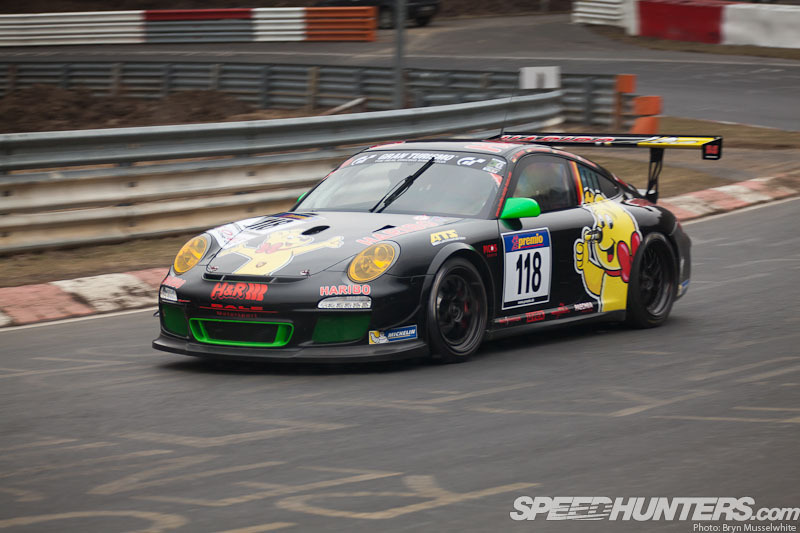 Hang on, a Porsche in Haribo livery? OVERLOAD. You need to be prepared to come here and work at it. 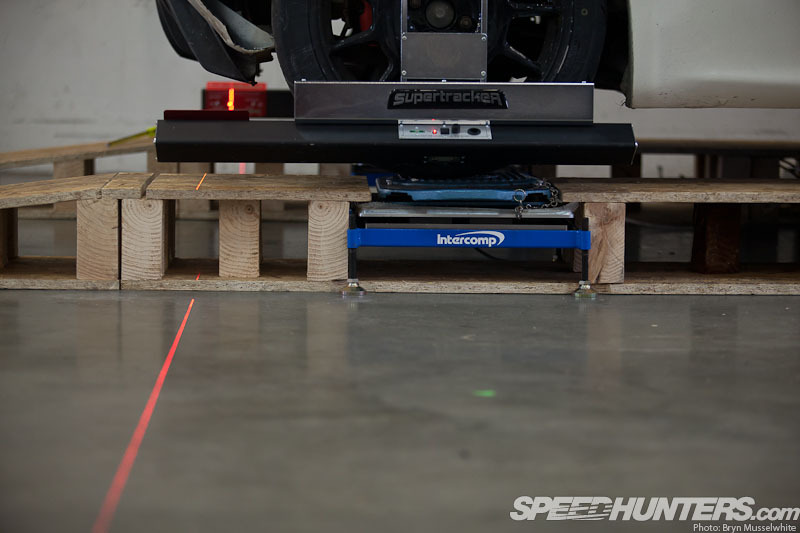 The guys from Spires Tuning had brought their alignment equipment along, and the Fiat 500 Abarth I showed you above was in for some attention. Owned by Prodigy singer Keith Flint, it sounded gutteral with a straight-through exhaust from the 1.4-litre turbo four-pot. Also back in the garage was Phil Morrison from Driftworks, a man well versed in the art of changing driveshafts. 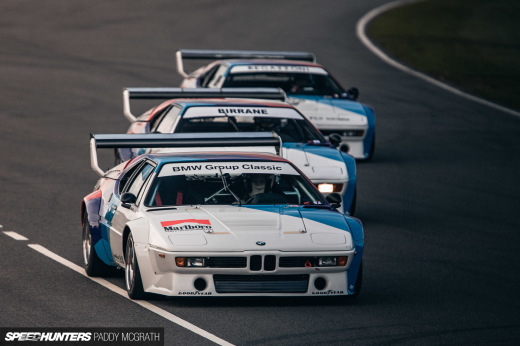 What you might not know is that DW has a sister company called Track Culture. His E46 M3 company demo car was featured by Paddy a while back, and the S85 V10-engined machine certainly hasn’t gotten any less awesome over the years. As inconvenient as it was to swap out, Phil had to do this as the M3 needed to get him home the following morning. 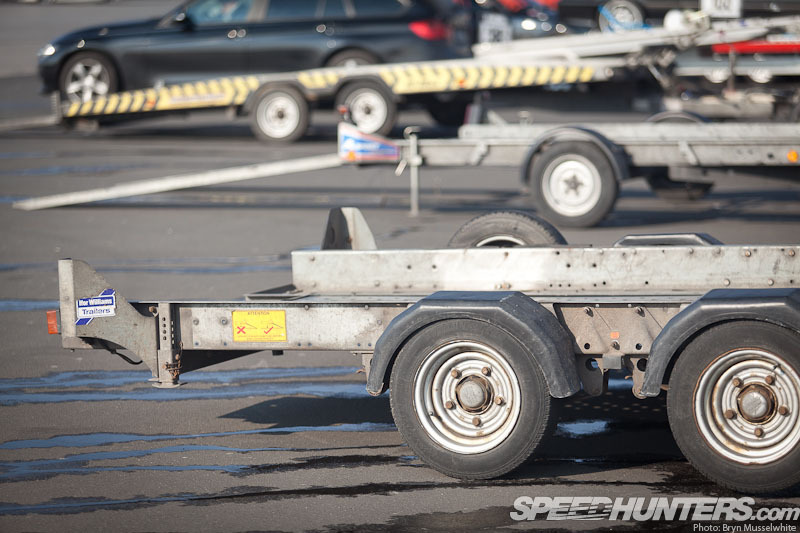 Trailers? We don’t need no stinking trailers! Well, yes actually we do. As much as the GT3 is supposed to be a track car that you can drive home, sometimes a little calm and serenity is needed – especially after a mammoth four-day, multi-country track session. 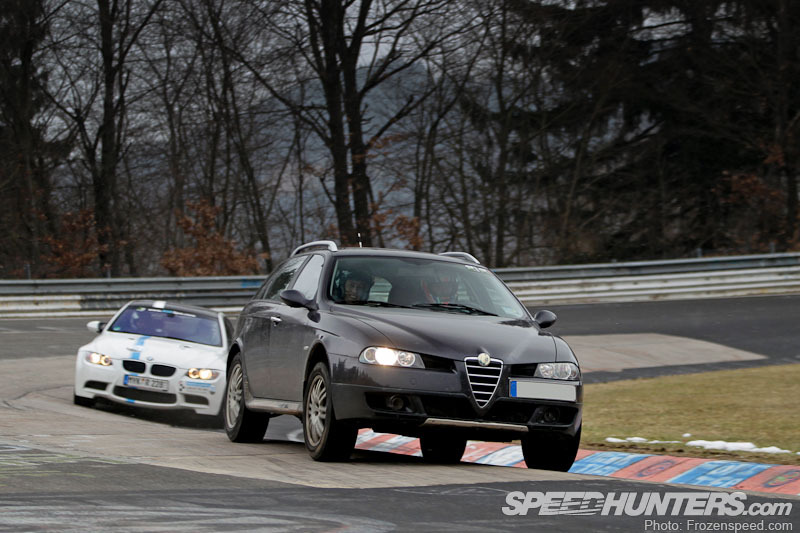 So which is better for the Nürburgring? 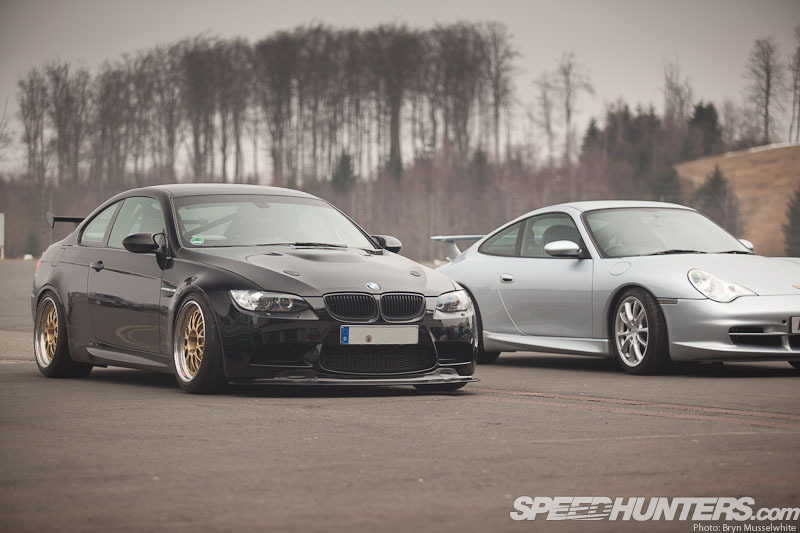 A BMW or a Porsche? I can’t call that, and to be honest whatever you do a lap in is fine by me, because you’re here doing it. And that’s the important thing. Remember the snow is the least of your worries. 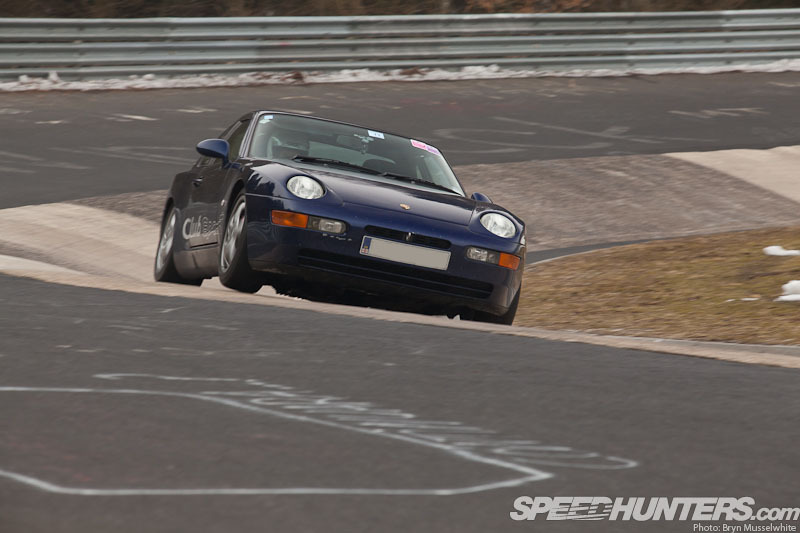 I’ll warn you now though, Darren’s Destination Nürburgring events are consistently over-subscribed and there are plenty of good reasons for that. But what you have to understand is that they are a reflection of the venue. 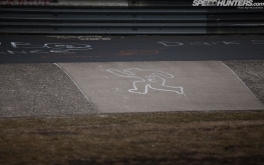 The Nürburgring is so much more than a track, so much more than a day. 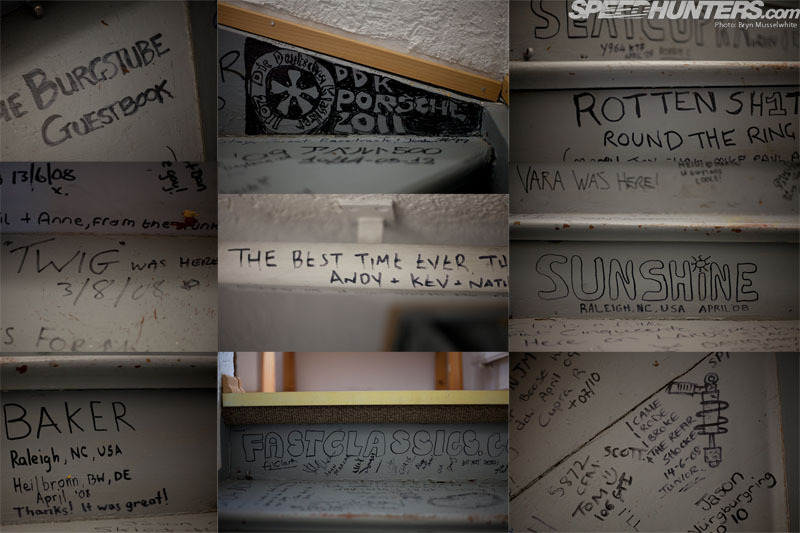 Everywhere you go in the area you see supercar noses sticking out of garages, team stickers on restaurant walls, posters, autographs and echoes of legends past. One constant remains though, the one that only you can face. The need to lap. So be warned, because you’ll want to come back. 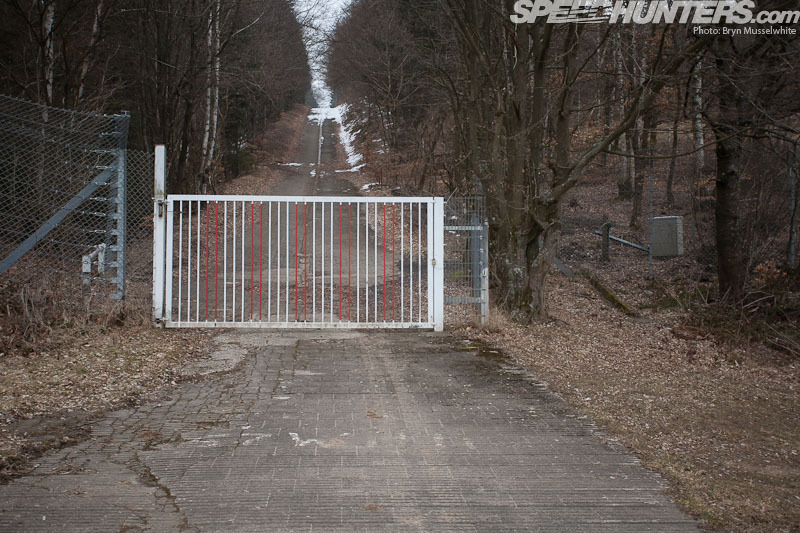 One day maybe I’ll feel comfortable enough to call it the ‘Ring, but for now I’ll continue with the suitably formal and reverent Nürburgring. Maybe even Herr Nürburgring, because I’ve yet to earn the right of informality. 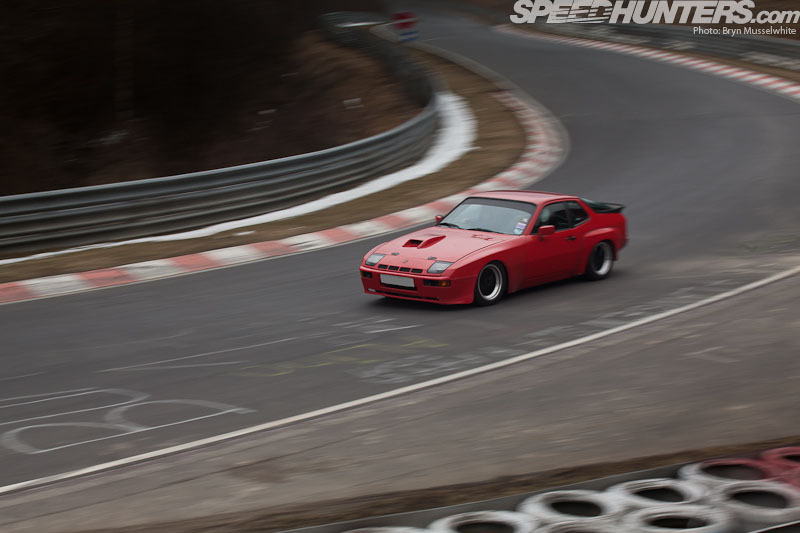 Find out more about the Destination Nurburgring events here, book yourself in to the Burgstube here and go get some for yourself, I implore you. 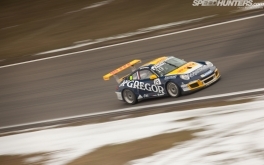 Thank you to Jochem at www.frozenspeed.com for his help in producing this article. UltimateExotics.ca uexotics has their own track days throughout the summer. I bought a gift card for my dads 50th bday and he used it for a track day. What an experience! I wonder if Ultimate Exotics still does exotic car rentals as well. I'd like to get one of those for a few days!